Mark Joseph Solis : Apologized and Said "I'm Just A Poor Boy, Nobody Loves Me"
Sabi nga niya sa interview, dala lang daw ng kahirapan kaya niya nagawa. Shame on you, Mark Solis. Sana ikaw na lang gumawa o kumuha ng litrato - malay mo ikaw pa ang nanalo. Kaso iba ang ginawa mo. Ninakaw mo ang talino ng ibang tao. Pinaghirapan ng ibang tao, tapos kukunin mo lang ng basta-basta? Kung pakikinggan mo ang sagot niya, walang remorse. Ibabalik ko "na lang " ang napanalunan ko. Leche! If he has remorse, he could've said, "Ibabalik ko ang hindi akin at at tanggapin ko ang hatol sa mali kong ginawa. Sorry." 11 times he joined photo contests, he won 4 contest already. Different photos submitted in different occasions. All from flicker from different photographers. I'm sure all his life, it's been a lie. The way he move, acts and what he showed specially after watching the video. His calmness and his acceptance speech was so define. I think this guy is sick. It's not safe to even use watermarks. He just edited one photo with a watermark in the middle. I would suggest to protect our photos that we just use low resolution 72 dpi at 640 x 480. It's enough to show the quality of the photo for the web/facebook + watermark. Remember that scene the Gloria Arroyo said "Im Sorry" on TV? Parang ganyan lang yung scene na yon. He sounds like a prostitute: "kasi mahirap lang kami, kaya ito na lang ang shortcut na alam ko." Wow! OMG! Lahat naman ng nakakagawa ng pagnanakaw almost same reason with Mr. Solis, and nakukulong, may iba napagbintangan, nakukulong din... So what makes him special para hindi mapatawan ng karampatang parusa? Matalino eh, ginagamit ang "mahirap" at "hirap" na word. Para makakuha ng sympatiya ng tao. It is the most used words but most effective in media. What else is new? "Poverty should never be an excuse for deceit or for anything else to offend anyone. To plagiarize is to steal, and this guy is beyond 18 and with the capacity to decide correctly... he should be sanctioned according to law. I may sound harsh but his examples should not be tolerated. If I were the Chancellor of UP, I will expel him. He may be bright in theories but gravely wronged the owner and even offended not just UP but the rest of Pinoys, and then address him as one of "Iskolar ng Bayan". This is yet another deception from this sociopath. He is NOT poor, as testified to by a UP professor who knows him personally. I don't condone what he's done. I despise his method! But I guess this is also a perfect time for us to reflect and ask ourselves "Are we any different? Do we not download illegal songs and videos? Do we not use cracks to get a free Photoshop software? Do we not use cheats on our online games?" I pity him, and I hope he learns his lesson and hope he'll recover from this. If he is really intent on learning how to take good photos, maybe the great photographers out there won't mind to mentor him. If ever, its a risk a photographer would be willing to take. We are like double edged sword, we have a good and bad side, and times desperation or greed etc, can make us do strange things. I am a photographer just like all of you. All of my knowledge and images were the result of hard work, then fun, joy and recognition came later That was Mark Solis fault! Be this a reminder to us all.... hard work before fun, celebration and recognition! As they say " The most difficult part of life is building your name, yet it's the easiest to destroy "
Poor in integrity, pwede pa. I feel bad for the people he fooled. Not just he was a "Scholar ng Bayan," why would he make his fellow people stupid? and why would he make excuses of being poor for being guilty of plagiarism? I agree with the comments above because they have points about Mark Solis. There are different ways to lift your status in life but what he did was unwise and he just made himself much worse and a shameless person. Training to be a politician perhaps? Poverty should never be an excuse in any problems that life has given you. Plagiarism should never be done, but blaming his current financial life or so called "Poverty"? It's a complete disgrace, especially graduating from a university as a scholar. Problems solved by cheating will result more problems and hardships, there's nothing wrong in doing hard work if it's for a good cause. I think that he should be expelled from UP because of what he has done. By reading this article, I can’t even think that a student like him studies in UP. He made a stain in the name of UP and to all the Pinoys out there. Yun na nga, he thinks he is superior and intelligent, than he has the power and the right, to do or use anything he like..? kung di pa nahuli yan, marami pang gagawing katiwalian yan! me redemption din nman, if we accept our faults and repent.. He has committed an offense by plagiarizing. honestly, i feel bad for him because he's receiving many negative comments affecting his family. He's from UP but didn't think clearly of the consequences of his action. allegedly, it's not his first time. Let us take it as a lesson for everyone. Being a student is a tough job. However, we must be responsible of our doings. Plagiarizing others work made him tell everyone that he couldn't establish his craft well. He just showed that he is not worth of being a scholar in the University of the Philippines. hi sir. 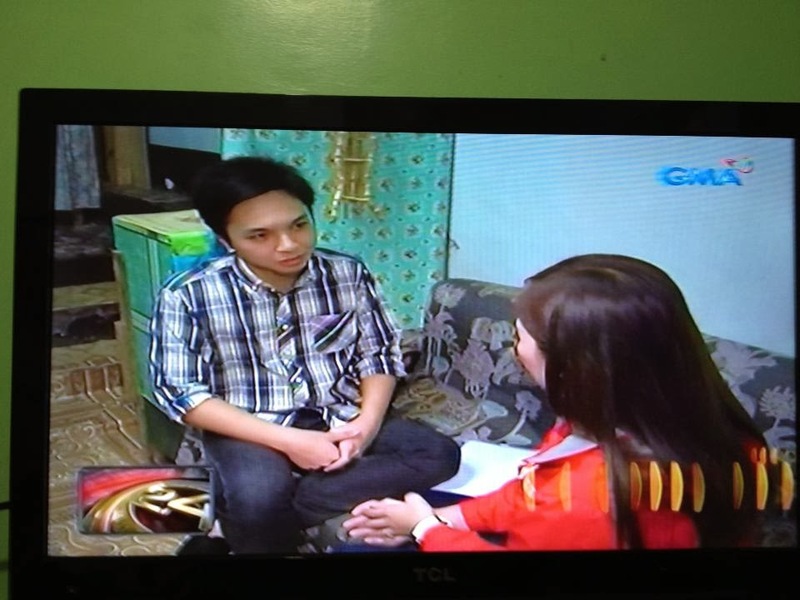 pwedi po ba kitang mainterview about kay mark solis? it's 10mins interview lang naman po. pls. email your number dito randolfbeltrab23@gmail.com thank you.